The Alberta Electric System Operator (AESO) has released a new long-term transmission plan incorporating five controversial “critical transmission infrastructure” projects. Directed by the Provincial Government to review the transmission upgrade and process for the north-south upgrades in Alberta, the CTRC was appointed to gather information from interest stakeholders through information and presentation sessions in Calgary and Edmonton this month. "The Committee must provide a report to the Minister of Energy by February 10, 2012. The report will include the Committee’s comments and recommendations regarding the reasonableness of several key elements of the AESO’s plan and amendments to the Electric Statutes Amendment Act, 2009." Under this bill "the Government of Alberta will have the responsibility for identifying which transmission infrastructure is needed, while the regulatory process will continue to address public concerns as to where transmission facilities are located." for current ALTA LINK Customer Connection - see PDF attachments at the end of this post. 11/5/2010 Alberta Federation of REAs Ltd. Transmission upgrades are required in order to meet the growing needs of a dynamic province – not only to address today’s consumer expectations but also to prepare for tomorrow’s demands. The introduction of The Electric Statutes Amendment Act[i] – formerly Bill 50 - and its subsequent approval during the 2009 fall sitting of the Legislature brought to the forefront another component of the Alberta Energy Strategy – the necessity to upgrade and expand the transmission infrastructure. The Amendment gave green light powers to the Government to declare which upgrades would be classified as “critical” and would follow a process similar to declaring critical need with regard to other public systems, such as highways, schools, and hospitals. The responsibility for determining “critical” status would be left to the Government to declare which projects are necessary and in the best interests of the province, as a whole. A proclamation such as this draws interest in varying degrees including those who fail to recognize the overall necessity of control in decision making, the need for the amendments, or even why upgrades are required on the provincial transmission system. Sometimes those who choose to hone in on specifics do so in relation to their own wellbeing or that of their immediate community, instead of looking at the big picture. It was not as easy as claiming “I support Bill 50” or “I am opposed to Bill 50” as there were many factors to consider in making such a decision and it was dependent upon other components relative to that decision. The fact is, upgrades to Alberta transmission structures have not been performed in over twenty years, with the exception of one significant upgrade[ii] and is required not only to meet Alberta power consumer’s expectations now, but to also provide enough energy supplies to meet the growing demand on the transmission system in the province. AltaLink, Alberta’s transmission leader claims that “in some circumstances, future transmission development will save customers more than the costs of development through increased efficiency on the province-wide grid. 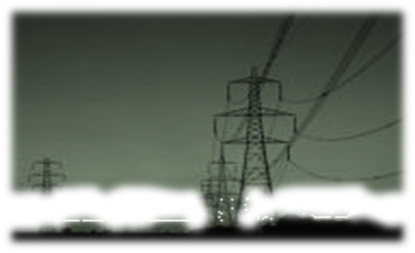 Transmission improvement may go well beyond grid efficiency savings, providing Albertans with substantial generation savings.”[iii] Whether there are immediate savings or a cost reduction over time, the consumer looks at the costs in relation to the service they receive – sometimes the basic expectation of power when we flip the switch is elementary yet overlooked in the grand scheme of things. 1. Two new high-voltage direct current lines between Edmonton and Calgary that will carry more power to Alberta consumers in central and southern Alberta. power to industrial consumers like Alberta upgrading facilities. from co-generation plants to Alberta consumers. 4. A substation in Calgary to provide more reliable service to customers in south Calgary. Each of the proposed transmission upgrades services a specific sector of the province of Alberta but will directly and indirectly affect each and every Albertan using power. Viable infrastructure is comparable to having highways that efficiently and effectively move traffic – if we view the transmission system as a network of roads[vi] that transports our power supplies to the end user, we can easily grasp the fact that without construction upgrades, increasing supplies that flow through an insufficient and inefficient system is comparable to manoeuvring rush hour traffic in grid lock. The AFREA maintains that upgrading the aging transmission infrastructure is an important aspect of the Provincial Energy Strategy – looking ahead at sustainability means providing sufficient systems for today, without compromising future requirements – and this means improving the way we provide our power supplies in response to an ever increasing demand. Efficient transmission infrastructure does not only mean an efficient transport system for internal use – it also means a system capable of handling the increasing supply and demand of importing and exporting electricity. An increased capacity allows free movement of electricity and prevents losses due to generation. A capable transmission can increase the flow of electricity and by increasing the supply we may see the lower costs that are the result of a competitive market. Martin Merritt with the MSA claims “…we need more transmission capacity because that – not subsidized generators – is the best way to assure the competitive market that Albertans have come to expect.”[vii] The wasted cost in fixing an ailing system is not as cost-effective as investing in a system that will meet future estimated demand. There has been particular interest in this project especially from residents of Sherwood Park, Strathcona County, in that the preferred route of construction runs along the Transportation Utility Corridor put in place sometime ago for just this purpose. This Corridor runs north and south along the western edge of Sherwood Park, just east of the refineries along secondary highway 216. The concern raised by various groups including members of the hamlet’s County Council, is that proposed construction along this corridor raises issues including the health aspects of transmission in close proximity to populated areas and to a lesser degree, the aesthetic values and their affect on reducing property values. A feasibility study[ix] by Stantec was commissioned by the Government of Alberta Department of Energy in 2009. The focus of the study included current and future transmission technologies including underground lines. There were no recommendations drawn by Stantec in the study completed in February 2010, as they merely reported on the findings and conclusions with regard to implementing the various technologies. In the results of a survey completed by Leger Marketing for RETA (Responsible Electricity Transmission for Albertans[x]) in October of 2009 (published November 2, 2009), proponents of underground lines were in favour of this technology option despite the cost of doing so – many respondents indicated they would be willing to pay inevitable increases in power to have the proposed lines underground. The random sampling showed that 68% would pay `something` on their power bills to have the power lines buried and were prepared to pay a little more if they were in close proximity to their own home or child`s school. It is not certain by these results if residents would be willing to contribute to the complete cost of the option. As outlined in the Stantec study, above ground transmission standard designs are the norm across North America with few undergrounds applications. There is still a need to determine whether underground lines are appropriate in the Alberta climate. As previously stated here, and in our letters to the Alberta Government and the Alberta Utilities Commission, the AFREA supports the upgrade and construction of a transmission infrastructure that will not only provide an efficient reliable utility network for consumption today but also a system that will support a growing province and an increasing demand for more electricity in the future. We are also of the opinion that fair and equitable compensation is a must for those who provide their land for the necessary right-of-way access. The standard above ground transmission tower design is appropriate technology for most of North America and we feel that this is also appropriate for Alberta`s system. It would be our recommendation that if other options are required in areas where concerns have been raised, such as in the Heartland Transmission Project, then the AFREA feels that the cost of the specialized infrastructure should be the responsibility of the requesting party. To provide otherwise, sets dangerous precedent as we move forward in other areas – in the end it should be the power consumers in affected area that see the effect of this request on their tax or power bills, not all Albertans. Transmission in Alberta - An AFREA Perspective 2010 (c) AFREA - no reproduction in whole or in part without the express written permission of the AFREA. For your information, downloadable PDF Government documents have been supplied below. [iv] Quoted from a recent letter to the Government of Alberta, regarding transmission; AFREA 2009.